Rhys the Exiled at StarCityGames.com! 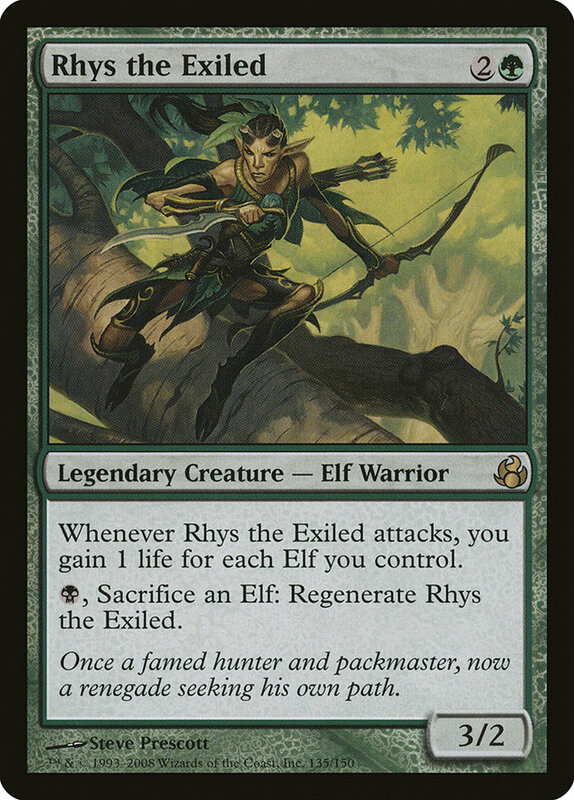 Card Text: Whenever Rhys the Exiled attacks, you gain 1 life for each Elf you control. B, Sacrifice an Elf: Regenerate Rhys the Exiled. Oracle Text: Whenever Rhys the Exiled attacks, you gain 1 life for each Elf you control. Flavor Text: Once a famed hunter and packmaster, now a renegade seeking his own path.